Behold! I have created a record breaking 25*25*25 magic cube! 3. Make a 9*9 grid with 9 3*3 subsections and copy the each number small magic square in to it's corresponding sub grid as a refference. 4. Create a 9*9 grid of numbers by adding the values of fig 2 and fig 3. 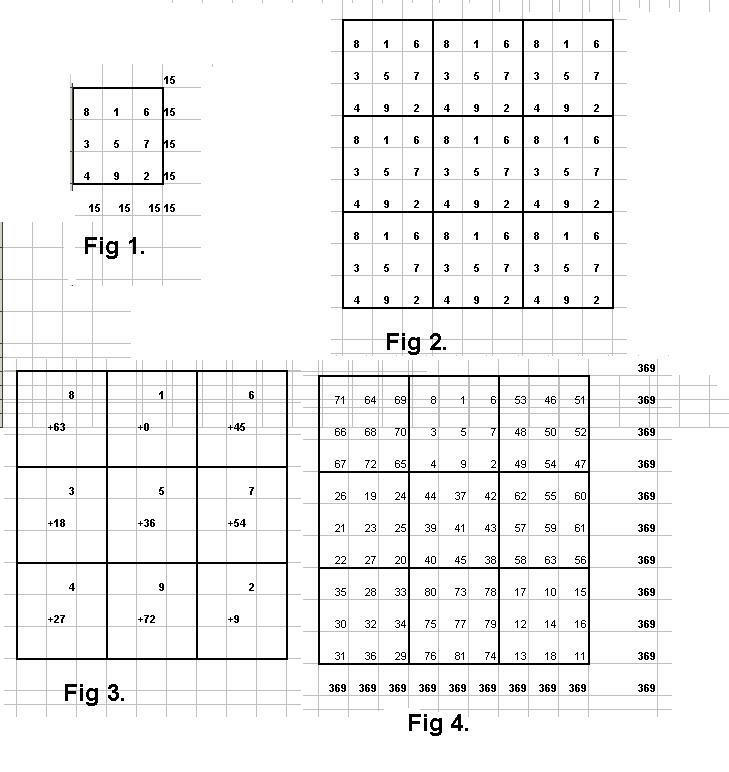 You can also add the values of fig 3 to a completed x-sudoku puzzle to create magic square as well. I've used the same iterative method to create an order 25 (25*25*25) magic cube from an order 5 magic cube. Two-Dimensional representation of Three-Dimensional cubes, and the corresponding perceptions.